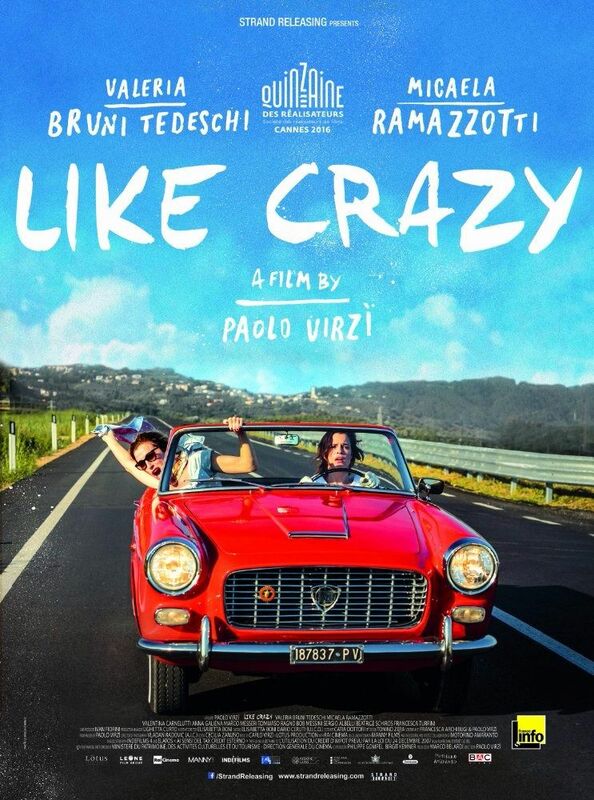 Like Crazy (Italian: La pazza gioia) is a 2016 Italian comedy film directed by Paolo Virzì, starring Valeria Bruni Tedeschi and Micaela Ramazzotti. It tells the story of two women from different backgrounds who become friends while being treated at a mental institution. It was screened in the Directors' Fortnight section at the 2016 Cannes Film Festival. Read more on Wikipedia.